This Saturday’s ACT Metro Series event #14 will be the final in the 2018 Junior League series and also the 2018 ACT Secondary Schools Championships. The venue is Stromlo West. The complete information is in the Final Bulletin. A synopsis of the key points is outlined below. Directions: Head west on Cotter Road. Turn right into Mt Stromlo Road. After 2 km turn left towards the water treatment plant and then immediately right on to a sealed fire trail. Follow signs through the gate and down the sealed fire trail through a second gate. Turn left onto the unsealed fire trail and follow directions to parking on the right. 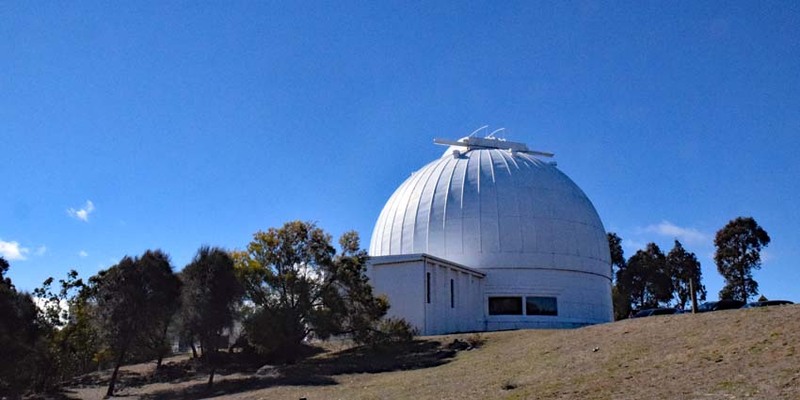 Watch out for cyclists driving up and down the Mt Stromlo Observatory road and give cyclists the obligatory distance when passing. There is a 500-metre walk to the start – allow at least 5 minutes. The competitors in the Secondary Schools Championships have been allocated start times at two-minute intervals from 9:30 am to 10.08 am. Only pre-entered competitors are permitted to start during this period. The Start List is available on Eventor. Other juniors who do not have allocated start times have priority to start their courses from 10.12 am until 10:50 am, so that the scores for the Junior League can be calculated early. Adults will not be permitted to Start before 10:30 am. Maps will not be available until all Secondary Schools Championships competitors have started, approximately 10.10 am. Orange maps will only be available at the Start. Green and Blue maps will be available at Registration. Live Provisional results will be available, presented by students and staff of Canberra Grammar School. Results only become Official after competitors have downloaded data from their E-sticks. Catering. The Blue Lightning Squad will provide a fund-raising BBQ and cake stall. A Coffee Van will also be available. Presentations. There will be an awards ceremony at about 12:00 pm for both the Junior League and the Secondary Schools Championships. We encourage all juniors to have early runs so they can be at the presentations. Teams the same as individual fees. Family maximum: The cost the three highest entrants, usually tow adults and one junior. Hire of electronic timing device which you wear on your finger (SportIdent stick) $2. Reminder, for more information read the Final Bulletin.